Visit the Summer Bay Surf Club, The Pier Diner/Alf’s Bait Shop, the Rock Pool, the iconic lighthouse on the headland and much more! You may get to see the cast! Tours cost just AUD $105 per person (around £60 GBP) and depart Mon, Tue, Wed and Fri at 1.15pm. The tour lasts approximately 4 hours. Tours also now run on Saturdays at 10am, but please note that there is no filming expected on weekends. Instead, the tour is extended to around 5½ hours, to allow more time to explore and play in ‘Summer Bay’. 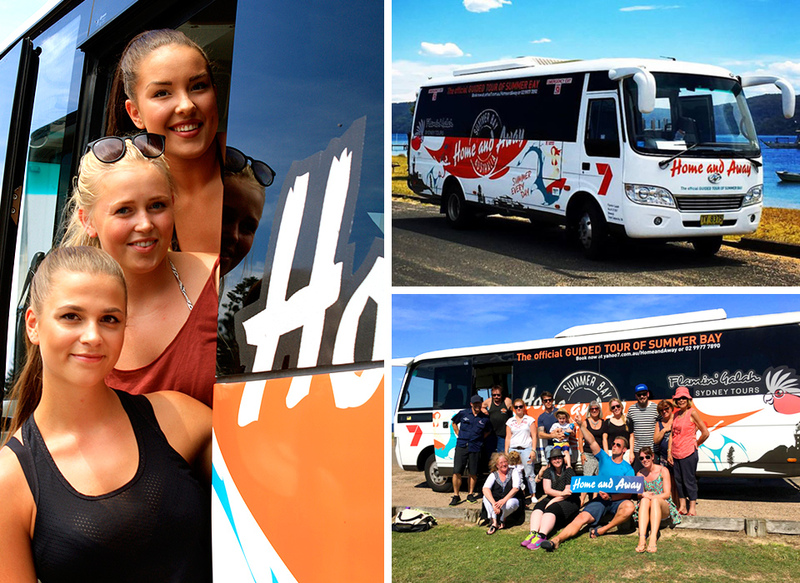 Use our form to place a booking direct through Flamin’ Galah Tours. Please note, when you place a booking, Flamin’ Galah will check availability and get back to you with confirmation as soon as possible after you have placed your order. Payment will not be taken from your card until availability is confirmed. Lasting approximately 4 hours, the tour departs Mon, Tue, Wed and Fri at 1.15pm from outside the Museum of Contemporary Art on George Street, The Rocks, Sydney. Please wait at the Museum entrance on the George Street side and NOT the waterside. The tour finishes around 5:15pm in Manly, where you can get a ferry back to Circular Quay in your own time (and at own expense). The ferry takes about 30mins and costs approximately $7.40. Saturday tours depart from George Street at 10am. 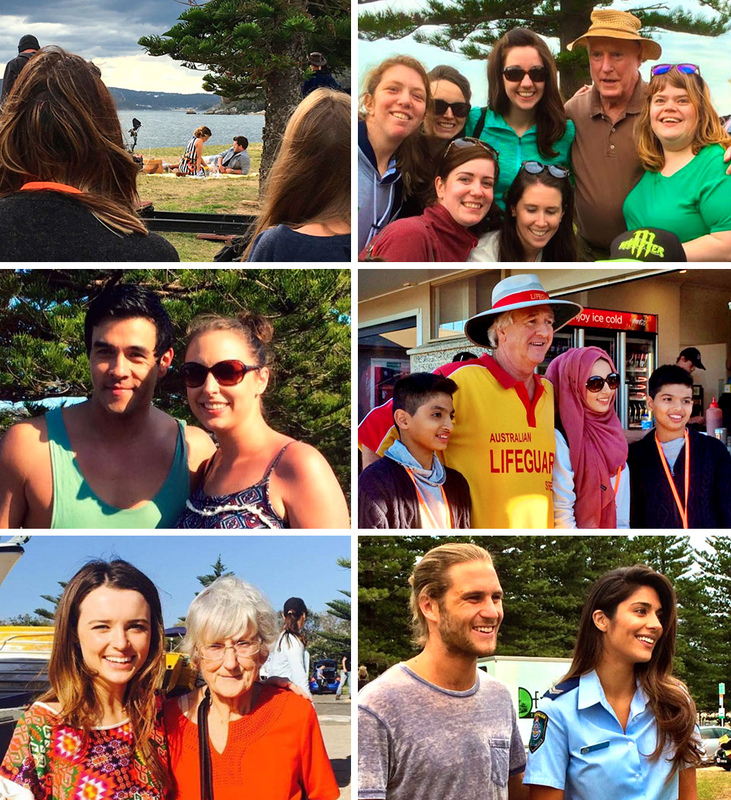 With no filming expected on Saturdays, the tour is extended to around 5½ hours, returning to Manly at approximately 3:30pm. Please be advised that the tour includes exterior filming locations only and does not include a visit to the Home and Away studios—these are located on the other side of Sydney and are closed to the public. I had an amazing time during the Home and Away tour. The coach took us on a pleasant scenic drive through North Sydney to Palm Beach (Summer Bay) on what was a beautiful warm and sunny day. When we arrived we saw filming was already taking place, it was a scene involving Leah, Zak and Irene. It was quite an intense scene involving an argument between Zak and Leah about him cheating on her with a woman called Sam. Raechelle Banno and Scott Lee (Hunter and Olivia) were also on set. They came over to where we were all watching and I managed to get my photo taken with them. Shortly afterwards I saw Emily Symons coming out of the trailer nearby! It was quite surreal actually seeing her and Lynne McGranger close-up after seeing them on Home and Away since I was a child. It was great seeing the familiar landmarks such as the lighthouse and the pier as well as the iconic beach I’ve seen so many times on TV. Walking into Alf’s bait shop was pretty awesome and I had a wonder around the surf club too. As we drove away from the beach we saw another scene up the road being filmed! This one appeared to involve VJ and Marilyn. As we drove past Emily waved at us as we left and I felt pretty chuffed to have seen the two scenes being filmed. We then carried on down to the road where Marilyn’s and the Morgan’s homes are located. It’s nice and quiet around there so we were able to get a good look and take some photos. On the way back to Sydney we drove past ‘Northern Districts Hospital’ which is a real working hospital. This tour was on of the highlights of my trip to Australia, I’d wanted to do it for a long time and really enjoyed my day out. Hopefully I’ll get to go back one day. 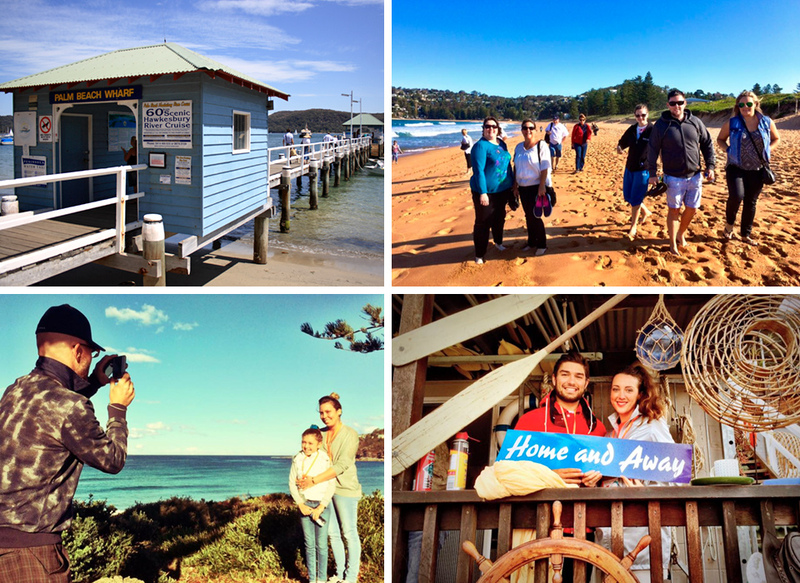 We had a really good experience with Paul and Lisa showing us around the Northern Beaches and some of the H&A set. They were very informative and new their stuff. Even though we didn't get to meet any of the actors, we did get to see a bit of filming from afar. They were up front from the start about not getting our hopes up as it is the luck of the draw, but they did their best to get the most out of the visit. It was so exciting to see part of the set like the Pier diner and the surf club in real life. Being shown around this part of Sydney and seeing all the beautiful scenery was amazing and really added to the tour. I would recommend this tour to any H&A fan. 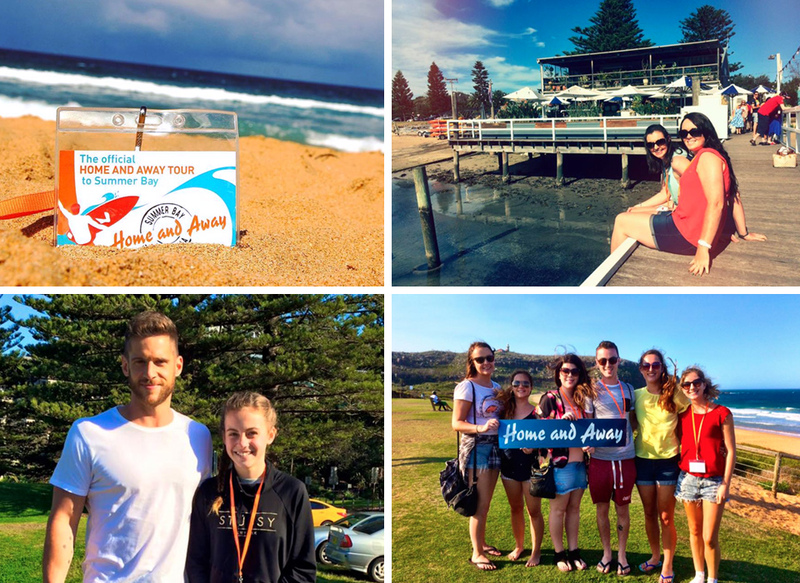 Myself Laura, Husband Matthew and my sister Ceri are big fans and always watch home and away in the UK, so when we got the chance to travel Australia in November 2016 we had to do the home and away tour experience. The tour guide we had was brilliant telling us lots of interesting facts about the show and cast. It was a beautiful day at the bay and we got the chance to see some filming and even had some photos with some of the cast which made the day! It was an amazing experience for us which we will never forget. I would like to say a big thank you for the amazing experience I got when visiting the bay. I do love the show and when I decided to go on a trip to Australia that was the first thing that I looked into doing. It's didn't fail. The staff was lovely, with a good information on the set, the location was lovely just a shame the day I went was the only day that was Raining in 3 weeks being out there. 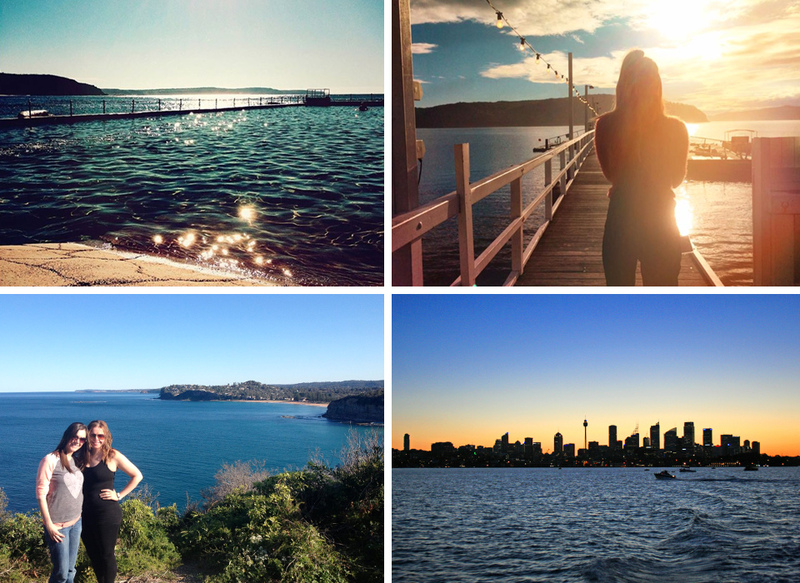 I love the idea of dropping us off in manly and got the ferry back to see the sites. The whole experience was soo good. I was upset that I didn't get to see any filming or the cast. I do understand that it depends on the filming times and when they are around. It would of been nice to see that and see how it is made but still was worth the experience.